Lexington, KY: Bluegrass Bicycle Tours, Kentucky&apos;s premier bicycle touring company, is proud to announce the Bourbon Country® Burn - the only bike and bourbon event of its kind. September 29 - October 1, 2017, this three-day, fully supported bicycle tour of bourbon distilleries and thoroughbred horse farms will explore quiet country roads and quaint communities surrounding Lexington, KY. Daily distance options range from 20 - 100 miles and stop at up to six different distilleries throughout the event. Back at Bourbon Base Camp, located at the Kentucky Horse Park, riderscan sip bourbon from the same distilleries ridden to that day, and enjoy live entertainment and local food. Participating distilleries: Woodford Reserve, Buffalo Trace, Four Roses, Town Branch, Castle & Key, Hartfield & Co.(and likely more to come!). 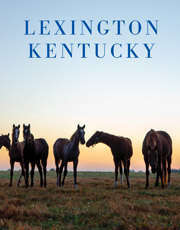 Riders may choose between 1, 2 and 3-day options, and camping at the Kentucky Horse Park is included with registration. Also, we have partnered with a nearby hotel to provide a discounted rate for event participants. Visit www.bourboncountryburn.com for more information. The Bourbon Country Burn founders come from varied backgrounds, yet they all share a love for bikes, bourbon and the Bluegrass State. The dream initially came to Mollie and Austin as they pedaled bicycles across Patagonia. For Mike, it all started with a run through Oregon. For Mike, the road to Bourbon Country Burn started over twenty years ago as he ran across Oregon. From that, the Bourbon Chase was born, and it is now a wildly successful, 24-hour running relay throughout Kentucky&apos;s Bourbon Country. Yet, he had always wanted to add a bicycling component to the Bourbon Chase, so when he learned of what Mollie and Austin were planning, it made perfect sense to join the team. With a depth of experience in event planning, bike touring and the bourbon industry, these three have teamed up to bring a one-of-a-kind bourbon event to the state of Kentucky.